​The Thermal (Infrared) Camera is a device that can help pinpoint issues with your home that is not visible to the naked-eye. The camera captures images by detecting infrared energy that is emitted, reflected and possibly transmitted from/through a surface. Normally, a surface temperature difference of at least 10 degrees is required from inside to outside to produce various levels of energy that the camera "sees". 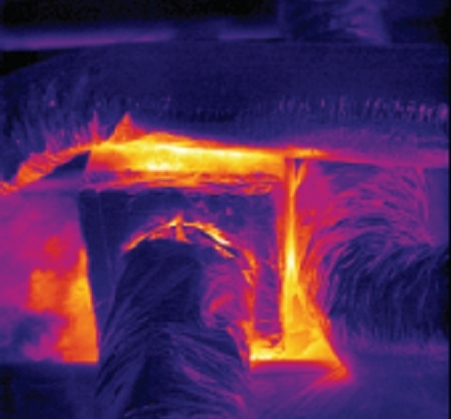 This difference in heat flow, as displayed by the thermal imaging camera can be evaluated to monitor a particular condition of an object or building assembly. Overloaded circuits can create a lot of heat which can cause fire. Cold areas within your home will be highlighted by the infrared camera as areas with inadequate insulation will be closer to outside temperatures than indoor temperatures. Most common air leaks are around around doors, windows and attic hatches. But there are other areas that can let in cold air. 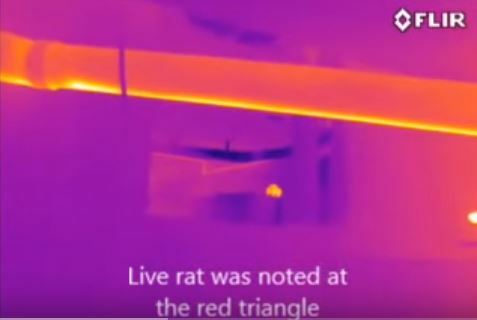 Infrared is the best tool because it provides a non-invasive way to allow the inspector to see thermal patterns of pests such as insects and rodents. The camera can provide information about the severity of the insect infestation, that is the nest or large accumulation of the insects. A larger animal can be detected if it is leaning against or nesting near the wall and its body heat conducts through the wall assembly. 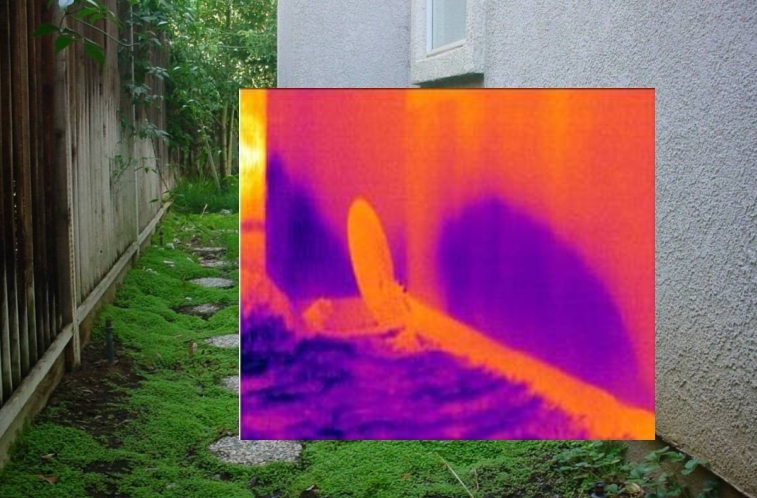 Infrared Camera can help in the application of and in verifying the success of the pest treatment. Our standard Thermal Infrared Inspection will include checking for electrical hazards, moisture intrusion, insulation deficiencies. Similar to our home inspections, our client will get a detailed report with color images delivered to them after the inspection.